"One of the strengths of Roberto Martinez's current Belgian team is their ability to put away teams they should and it's probably fair to view Japan as one of the light-middleweights of this World Cup." Belgium were the highest scorers in the group stage with nine goals and one of just three teams (Croatia and Russia the others) to emerge with a maximum nine points. And although it was hardly the toughest group, their stock in this World Cup has risen. From being one of those teams who could quite conceivably have been less than the sum of their parts, Belgium look to have the tools to go a long, long way. Romelu Lukaku has scored four in his two starts, Eden Hazard bagged a brace against Tunisia and Kevin De Bruyne has already provided one wonderful assist. The Golden Generation are shining bright. Even their second string stepped up and beat England in the final group game, keeping the momentum going and showing that the have talent in reserve. Full credit to Japan for getting out of Group H when ranked as the outsiders of the four teams. But, to be honest, they've enjoyed their share of fortune too. The key moment arguably came just three minutes into their campaign when Colombia's Carlos Sanchez handled in the area, reducing the South Americans to 10 men. Japan scored the resulting penalty and, after conceding an equaliser, used their extra man advantage to find a winner. They also showed spirit to twice come back from a goal down to draw 2-2 with Senegal while, in slightly farcical conditions, they then settled for a 1-0 defeat against Poland, gambling that the Senegalese wouldn't find a leveller against Colombia. It paid off. Japan snuck through due to picking up less bookings than Senegal and were one of just two teams along with Argentina to emerge from the group with only four points. The market rates this the easiest to call in the first round of knockout matches. Belgium are just [1.42] to win in 90 minutes, with Japan [10.5] and The Draw [4.8]. While beating England put the Belgians on course to play Brazil in the quarter-finals, it also created this easier last 16 clash. One of the strengths of Roberto Martinez's current Belgian team is their ability to put away teams they should and it's probably fair to view Japan as one of the light-middleweights of this World Cup. I think it's game over for Japan here and Belgium should do this comfortably. Belgium -1 is [2.28] while I'm happy to push further and go Belgium -2 at [4.2]. Resting the big guns for the final group game will make them fresh and hungry and the Red Devils should simply have too much class and power. One of the keys for Belgium is that Martinez has created a system that works beautifully for Romelu Lukaku. The striker is averaging over a goal per game in his 20 starts under Martinez and he's bagged a brace in each of his last three starts (two in this World Cup) and, going back further, in five of his last eight. They're outstanding numbers so there' no way I can ignore the 5/1 (Sportsbook) for Lukaku to score two or more once again. I'll also back Eden Hazard to score anytime at 7/5 (Sportsbook). The midfielder looks right up for this, slotting home a cool penalty against Tunisia and then adding a superbly-taken second after bursting behind the defence. Hazard has scored six goals in his last eight internationals and can add another here. Belgium have won only one of their five encounters with Japan (D2 L2). The draw is [4.8]. Belgium and Japan’s only previous World Cup encounter was in the group stages of the 2002 tournament. They drew 2-2. Over 3.5 goals is [3.55]. Belgium have reached the knockout stages of the World Cup for the sixth time in their last seven participations, the only exception coming in 1998. They will be looking to reach the quarter-finals for the third time in their history after 1986 and 2014. Belgium are [1.19] to make it to the last eight. Belgium have never kept a clean sheet in their 11 knockout games at the World Cup, losing eight of them (W2 D1). Both teams to score is [2.3]. Belgium scored more goals than any other team in this year’s World Cup group stages (9). They were also one of three teams to win all three of their games (with Croatia and Uruguay). Over 2.5 goals is [2.04]. Belgium are unbeaten in their last 22 games (W17 D5), their last defeat dating back to September 2016 against Spain (0-2). As of the end of the group stages, only Spain were on a longer run amongst the 32 teams at the 2018 World Cup (23 games). Belgium are [1.43] to win. Japan have failed to score in five of their last six World Cup games against European opponents (W1 D2 L3), with their only goals coming in a 3-1 victory over Denmark in 2010. Belgium are [2.15] to win to nil. Since making their World Cup debut in 1998, Japan have alternated between getting knocked out in the group stages (1998, 2006, 2014) and reaching the round of 16 (2002, 2010, 2018). They have so far never made it past the last 16. Japan are [6.0] to reach the quarter-finals. Japan’s two previous knockout games at the World Cup have produced only one goal, for Turkey in 2002 (0-1). The other game ended 0-0 after extra-time against Paraguay in 2010 with Japan losing 5-3 on penalties. Under 1.5 goals is [3.7]. 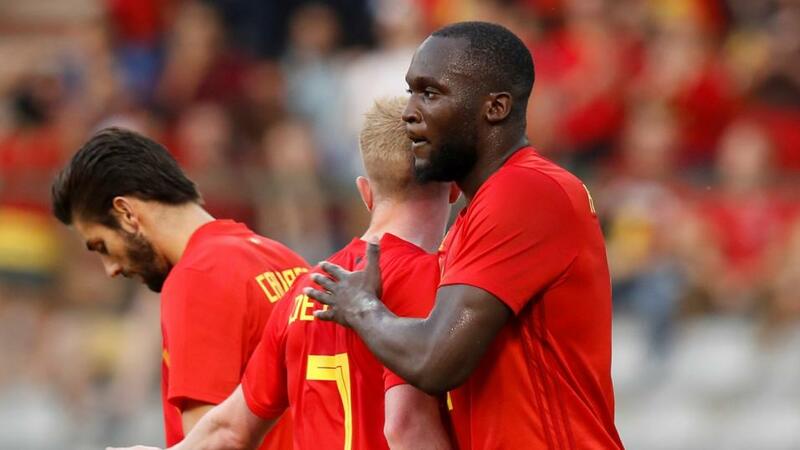 Romelu Lukaku has scored 23 goals in 20 appearances for Belgium under manager Roberto Martinez, scoring four goals from four shots on target at this year’s World Cup. Alongside Cristiano Ronaldo, he was the only player in the group stages to score with his right foot, left foot and head. Lukaku is [1.91] to score.